Thanks to all in the parish who contributed in many ways to the telling of one hundred years of history. Particular thanks are due to the Centennial History Committee (Mary Louise Abrams, Chair; Patricia O’Brien Libutti, research and writing; and Erin Pommerenke, proofing) for the research and collaborative writing of the History. The beauty of the book is due to the layout and design prepared by Bob O’Brien. 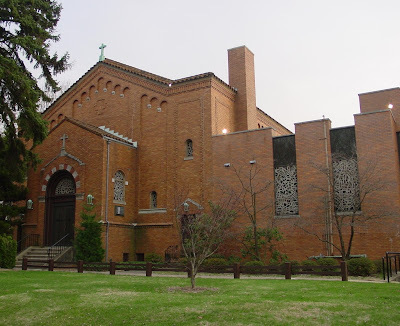 The St. Anastasia’s History Blog (www.historysta.blogspot. com) was prepared by Patricia O’Brien Libutti from the materials developed for St. Anastasia’s Parish: One Hundred Years of Faith. Videos on the blog: Larry Bonnemere. Photography was provided by many photographers over the 100 years. Known photographers include: Alice Jacobs, Bob Cope, Fr. Bill O’Malley, Cathy Caceres, Dorothy Galea, Elizabeth Larson, Patricia Libutti and E. Adams. Logo files: Bob O’Brien ©. Editing: George Stahl, Doris Thurber and Mary Ellen Schoonmaker edited drafts of this history. Proofreading: Fr. Dan O’Neill, final print edition; above-named editors, drafts of manuscripts. Documents: Noreen Bosshardt, particularly for help with access to the Bulletin and architectural drawings; Clare Baker, provision of graduation picture, 1978; Ann Wagner, provision of copies of Fr. Joe O’Brien’s First Mass and parish wedding photos; Sr. Adrienne Bradley, provision of First Communion photographs; Lucille Bertram, provision of photographs, Teaneck Municipal Public Library; Wei Lei, Teaneck Municipal Public Library, scans of Teaneck photographs; and Fr. Bill O’Malley, provision of three handwritten Announcements journals, 1914–1933; picture copy of Fr. Peter R. Kramer, courtesy of St. John’s Parish, Leonia. “Carmelites Celebrate a Golden Jubilee in Teaneck”. (May 29 1992). The Record. Retrieved March 2006 from ProQuest database. “Church, Chess, Fellowship.”. (March 29, 1996). The Record. Chadwick,John.March 6, 2008). "Layperson with missionary zeal; Evangelist inspires fellow Catholics".The Record,p.12. Retrieved from InfoTrac Database September 2008. "Demographics." Teaneck, 1900-2006. http://en.wikipedia.org/wiki/Teaneck,_New_Jersey . Retrieved April 2007. Interview. Cleo Bonnemere. Retrieved September 2007 from http://www.teaneck.org/virtualvillage/OralHistory2/bonnemere.html. Interview. (1985). Bernie Brooks. Oral Histories 2 . Retrieved October 2007. “Rev. Peter R. Kramer”. (Dec.23, 1951).New York Times. Retrieved January 2008 from ProQuest database. "Rev. Silverius Quigley." (July 30, 1960). New York Times. Obituaries, p.17. Retrieved January 2008 from ProQuest database. U.S. African-American Priest Directory.. Retrieved September 2008. “Women’s Place is in Theology”(April 3,1992).The Record . Retrieved March 2008 from ProQuest database. Bishop, Jim. (1953). Golden Jubilee. Fr. Silverius Quigley, June, 1953. Teaneck, NJ: St. Anastasia’s Church. Bradley, Sr. Adrienne. (March,1998). Cornerstone Newsletter. Creange, Renee. (2004). St. Anastasia’s Hosts 8th Annual Women’s Cornerstone Retreat; Members of Two Other Parishes Attend. Unpublished manuscript. _____.. God Calling...Here I Am, Lord! Retrieved September 2008. http://www.carmelitereview.org/issues/v44n3/god-calling.php . Retrieved September 2008. Lynn, Kathleen. “Grads salute their Saturday lessons -- Teaneck program gave black kids a boost” The Record. (May 5, 2005). Retrieved October 2007 from ProQuest database. O'Neill, Benedict. Announcements.November 24,1932,p.168). Unpublished set of notebooks (3). Courtesy of Fr. William O’Malley, O.Carm. Pollack, Michael. “Teaneck Journal: Mosque Sees Growth in Its Future ( June 30, 1991). New York Times. Retrieved October 2007 from ProQuest database. Rombach,R. Architectural Drawings.Collection, St. Anastasia's Parish, Teaneck, NJ. Saint Anastasia’s Parish Architectural Drawings and Photos. Saint Anastasia’s Parish St. Anastasia’s 50th Anniversary 1931-1981.St. Saint Anastasia’s Parish. Announcements. Hand-written notebooks:1913-1933. Saint Anastasia’s Parish. Web site. http://www.saintanastasia.org. Schoonmaker, Mary Ellen.”The Mountain Chapel and the Little Black Lamb” . Sheehan, Rev. Donald P. (February 5, 1998). “Church Celebrates its Ethnic Richness.” The Record, Retrieved November 2007 from ProQuest Database. Supik, Wilma.”Celebrating a Covenant”. (April 29 1988). The Record, D-9. Suplik, Sr.Regina, S. C., and Staff. 1931-1981. Teaneck, St. Anastasia’s Church. Taylor, Mildred.History of Teaneck, p. 98-103. _____. "Spiritual Comforts Take Root.” in M. Taylor, "History of Teaneck," pp.98-103. Teaneck Public Library Local History Photo Collection. Teaneck Public Library. Vertical file. Teaneck. Churches. Thompson, Neal. " Life's Work Inspires North Jerseyans; Homilies Filled With Tributes To Mother Teresa." The Record (Bergen County, NJ) (Sept 8, 1997). A8. Township of Teaneck.Teaneck New Jersey Forty Years of Progress: 1895-1935, c1935. Wong, Janet. “Parish Schools Go Forth as One Discover Merger Has its Blessings “(February 7, 1991). The Record . Retrieved from the ProQuest database, March 2008.